Döbereiner’s classification scheme was improved and perfected by Mendeléev. Then in 1869, Russian chemist Dimitri Mendeleev (1834-1907) proposed arranging elements by atomic weights and properties (Lothar Meyer independently reached similar conclusion but published results after Mendeleev). Mendeleev’s periodic table of 1869 contained 17 columns with two partial periods of seven elements each (Li-F & Na-Cl) followed by two nearly complete periods (K-Br & Rb-I). In 1871 Mendeleev revised the 17-group table with eight columns (the eighth group consisted of transition elements). This table exhibited similarities not only in small units such as the triads, but showed similarities in an entire network of vertical, horizontal, and diagonal relationships. 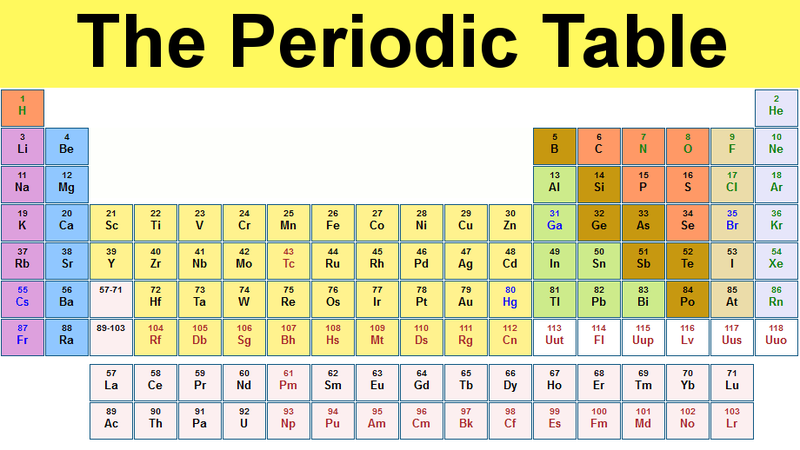 The table contained gaps but Mendeleev predicted the discovery of new elements. In 1906, Mendeleev came within one vote of receiving the Nobel Prize in chemistry. Russian chemist who arranged the 63 known elements into a periodic table based on atomic mass, which he published in Principles of Chemistry in 1869. This organization surpassed attempts at classification by Beguyer de Chancourtois and Newlands and was published a year before the work of Lothar Meyer. Mendeléev left space for new elements, and predicted three yet-to-be-discovered elements including eka-silicon and eka-boron. His table did not include any of the noble gases , however, which had not yet been discovered. His table placed elements in their correct position by atomic number, thus showing variance from atomic weight in a number of places. At The Beacon, we have created a Periodic Table of Technology to teach about science and technology by showing how elements are used in everyday tech-use. The interactive guide is a supplement to the other learning resources. See The Periodic Table of Technology website here.